Butler County Landfill is located in Butler County near David City, NE. We are the one of the major Landfills on the eastern side of Nebraska. The landfill can properly handle municipal solid waste, construction and demolition and non-hazardous special waste including fly ash, contaminated soil, asbestos and other non-hazardous special wastes. The landfill also has an active methane gas collection system. 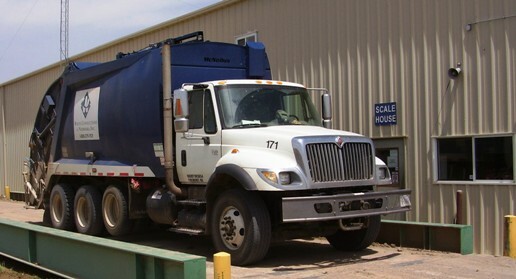 We accept Municipal Solid Waste (MSW), Construction Demolition (CD), approved special waste and contaminated soils. Yard waste is allowed all year round due to our active gas collection system. What is the price for a typical public load? Anything under 500 lbs. is $15.00 plus surcharges. *These materials all have a $1.50/ton Environmental Fee and $1.25/ton State Fee. Is there a special price for Tires, E-Waste, White Goods, Batteries, Green Waste, Wood Waste, etc? Do we take Checks, ATM or Credit Cards? Can I email a question? Yes, you can email Annette Snyder (annettes@wcnx.org) office clerk or Kelly Danielson (kellyd@wncx.org) Assistant District Manager. Who is the Special Waste Contact? Annette Snyder and Kelly Danielson.